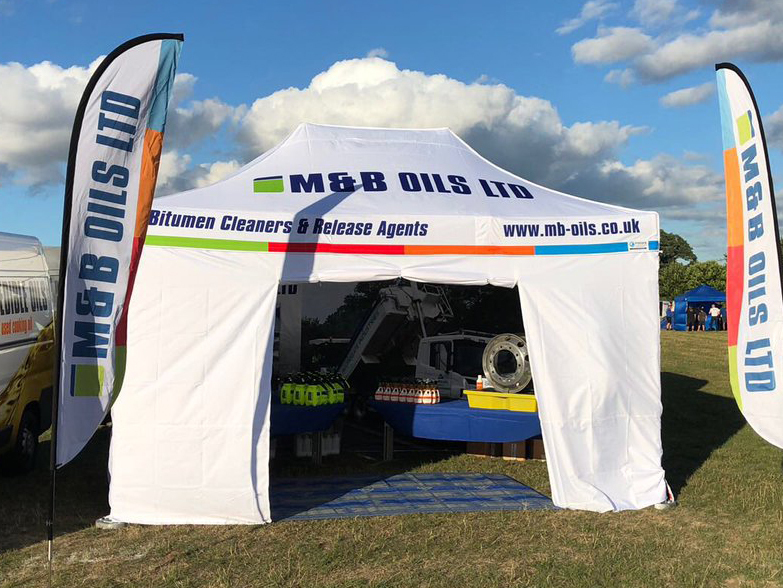 During the summer we produced this fantastic 3m x 4.5m custom pop up gazebo for M&B Oils. 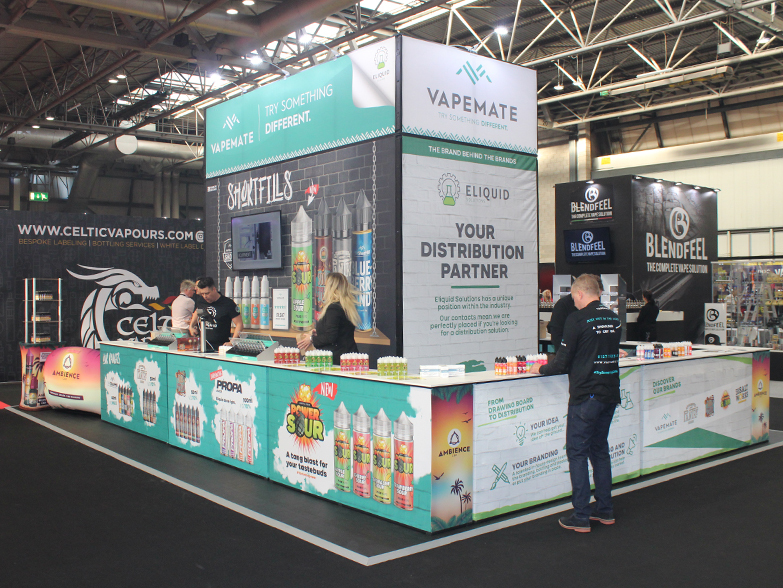 They chose three double sided walls printed with a mixture of high resolution images, product information and their vibrant logo, all enhanced by our high quality sublimation printing. An additional plain white front door wall was also added for extra protection and allowing the structure to be closed up overnight. Customers are always welcome to mix plain and printed items to create custom packages to suit all requirements and budgets. 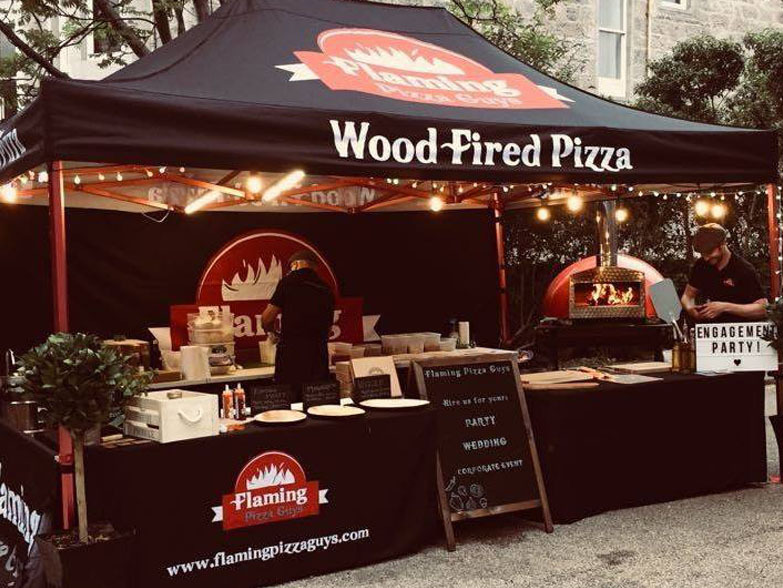 Flaming Pizza Guys came to Instant Promotion UK earlier this year for a promotional gazebo. 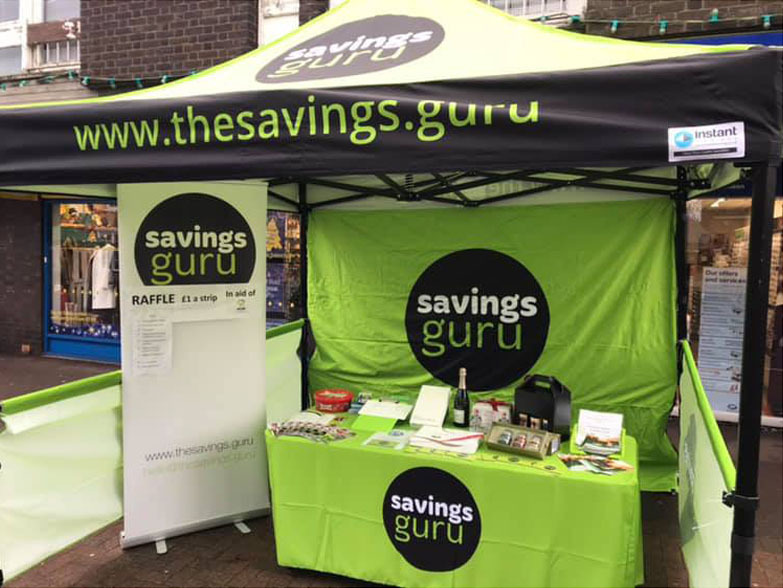 They chose a 3m x 4.5m custom printed Trader Package, consisting of canopy, back wall, half side walls and tablecloth. Flaming Pizza Guys chose a red anodised frame to compliment their branding as well as upgrading to a double sided back wall, with a different design on each side. 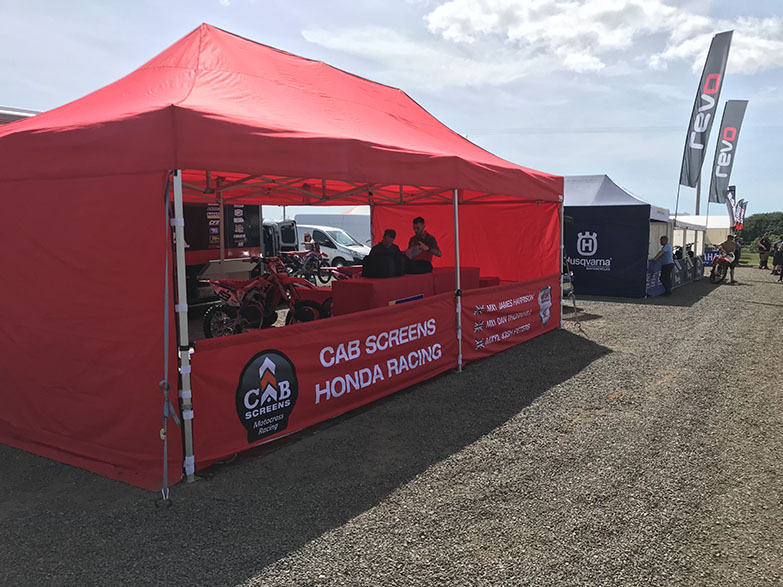 Cab Screens Honda Racing sent us these great photos of their gazebo in use at motocross events this summer. They chose a 4m x 8m red awning with removable 4m stock red wall panels and two custom printed 4m front half walls. We were also able to make two custom sized printed table covers to fit their existing tables. Instant Promotion UK produced a 4m x 4m Spider Dome Expo for Snickers Workwear in 2016, and this year they returned to us for a 3m x 3m custom printed awning. 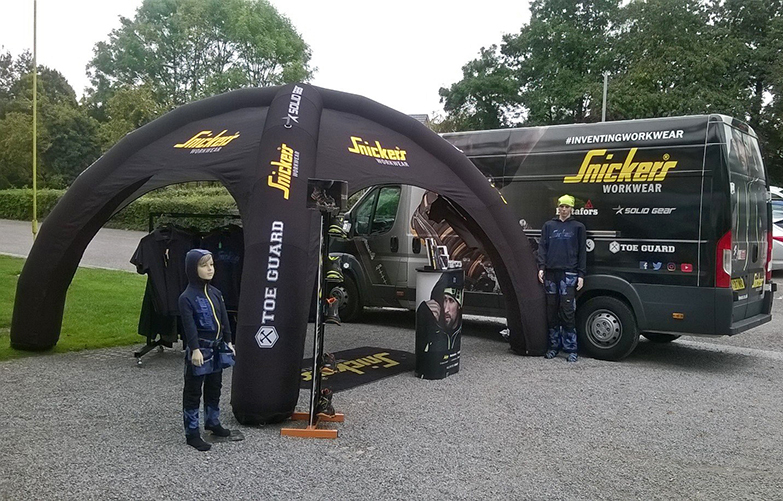 The Snickers Workwear team have been ‘on tour’ to showcase their products around the UK with deals and special offers for customers. Both structures provide plenty of branding space, including the legs of the spider dome which displayed their partner company logos. Although not shown in these photos, both had four removable walls printed to showcase their products with a different full size, high quality product photo that can be added when a little more protection is needed. 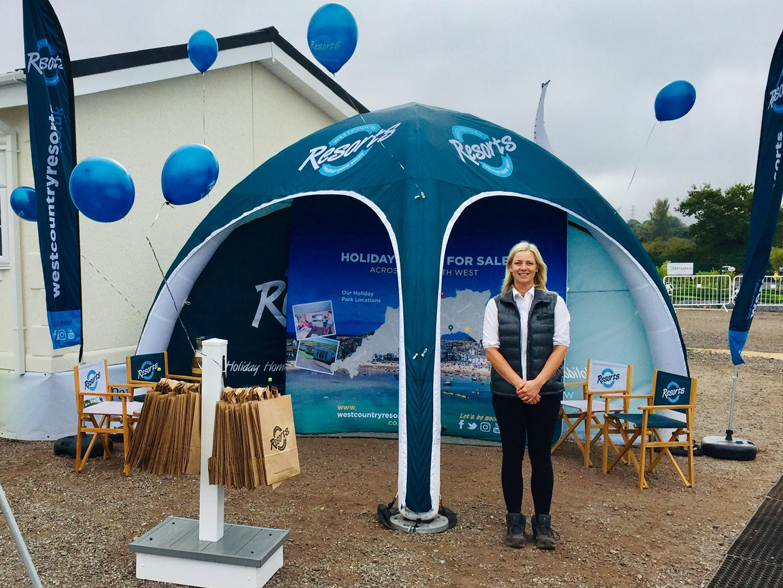 Westcountry Resorts came to Instant Promotion UK looking for a variety of products to use as a base to meet and chat to their customers. They chose a 4m x 4m Spider Dome X1, our most light weight and compact inflatable spider dome. As you can see from the photos, the dome offers plenty of flexibility to suit any location - allowing customers to add and remove walls as needed as well as the option of an awning to create an entrance feel. 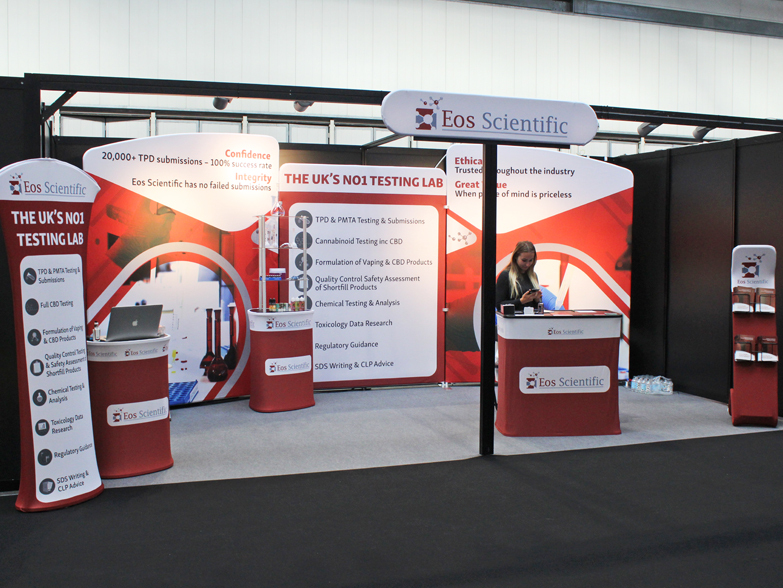 Westcountry Resorts also chose a custom printed 3m Straight Tension Display with Branded Podium, creating a vibrant backdrop within the dome that can also be used independently for indoor events. 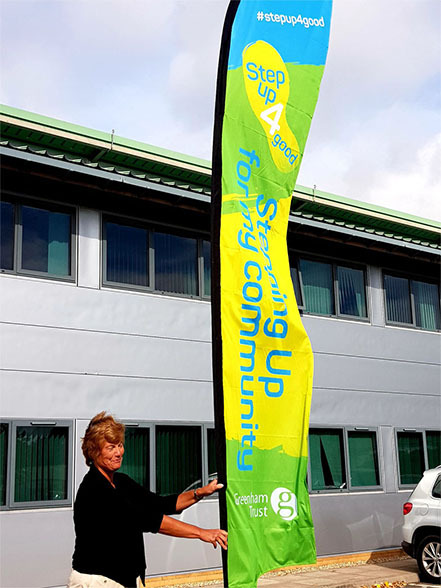 Instant Promotion UK created these printed advertising flags for Greenham Trust’s ‘Step Up For Good’ charity event. They chose our large feather flags and upgraded to double sided print. 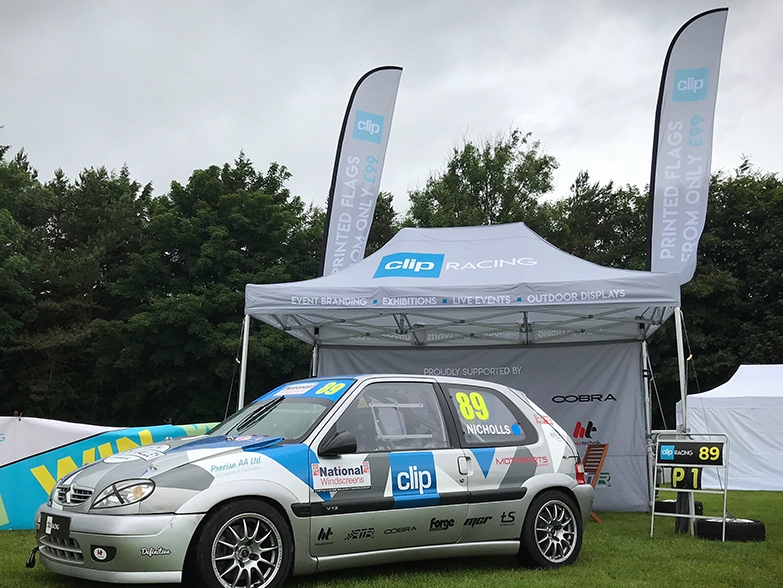 The bright and eye-catching design is perfect to draw attention at race events and standing at almost 5m high it is sure to be seen from a distance!